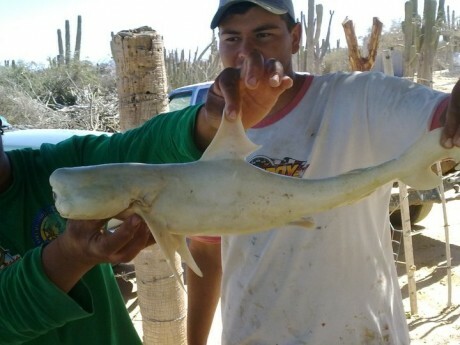 A mutated bull shark was recently captured off the coast of Mexico in the Sea of Cortez. As if regular sharks aren’t bad enough. Actually, I really kind of hope that this is fake. 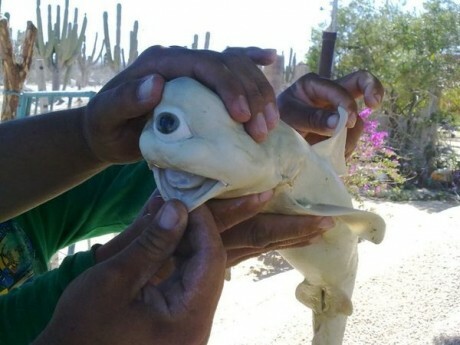 Lots of odd creatures come from the sea, and add to the list a one-eyed bull shark fetus that was removed from the body of its captured mother recently off La Paz, Mexico, in the Sea of Cortez. A brief story about the shark is on the Pisces Sportfishing blog. Pete Thomas Outdoors shared the top image with two shark experts in California and both were skeptical at first, suggesting it was some kind of hoax. One of them jokingly identified the species as a “Cycloptomus” because of a single eye — if it is, in fact, an actual eye — located just above the mouth. But Tracy Ehrenberg, general manager at Pisces Sportfishing, has been in touch with renowned shark expert Felipe Galvan, who has seen the shark and has even produced a paper on the discovery. You are currently browsing the archives for the Cyclops category.